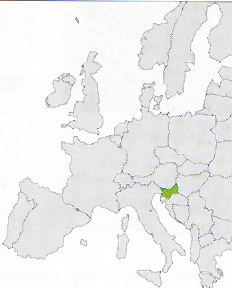 The northtern country of those borned from the dismemberment of ex Yugoslavia, it is a Republic of only 20 thousands kmq with less than two millions of inhabitants. The mostly mountainous and karst territory borders to west with Italy and overlooks Mar Adriatico with the northern part of the Istria. The economic growth was very fast in the last decade and the unemployment is very low (sensitively lower than the European average). The tourism centralizes in the sea resorts of the coastal short strip; in the beautiful mountain stations of Bled (magnificent Pre-Alpine lake) and of Kranjska Gora (first-rate skiing station) and in the very beautiful and unique grottos of Postumia.